The excitement over future 5G networks is undeniable. 5G connected smart devices will change the way we live, work, and think in fascinating, and unpredictable new ways. But network operators and content providers are already wondering how 5G will help them deal with the ever-growing demand for video content. This is where 5G-Xcast comes in. 5G-Xcast’s goal is to enable large-scale video distribution over 5G networks, with the utmost scalability, bandwidth efficiency, and HD video quality on every end-user screen, whether they are on the go or in the home. Join us and discover how 5G-Xcast will help deliver HD video over 5G networks, at Mobile World Congress 2019 in Barcelona, Mon, Feb 25, 2019 – Thu, Feb 28. 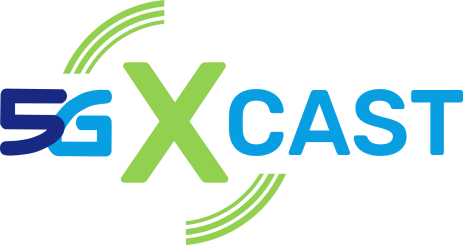 5G-Xcast is a 5GPPP project focused on defining specifications and furthering the definition of massive-video-delivery over 5G Networks. The demo will be showcased in the Enensys booth, Hall 5 Stand B81.